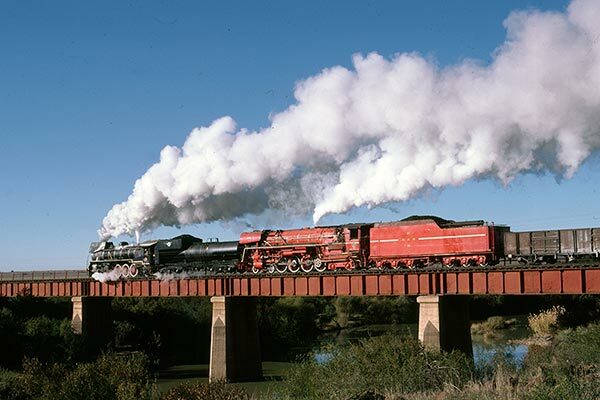 Caption - South African Railways (SAR) class 19D no.2644 "Irene" and class 26 no.3450 "L D Porta" head an eastbound freight from Kimberley to Bloemfontein over the Modder River just east of Perdeberg on 22nd May 1982. These two "experimental" developments in steam traction gave a glimmer of hope for steam traction with their increased efficiency and tractive effort. Sadly, this was just a dream.